There is an undeniable tension within Juan Reina’s Diving into the Unknown that is both suffocating and exhilarating at the same time. The film is ultimately a tale of friendship and sacrifice but, at times, it could easily be viewed as a horror movie; one where nature is scarier than any boogeyman in the closet. A month after they endured a harrowing experience which resulted in the death of two of their friends, a group of Finnish divers return back to the Norwegian cave where the disaster occurred to attempt another dangerous dive. This time it is not out of pleasure, but rather necessity. 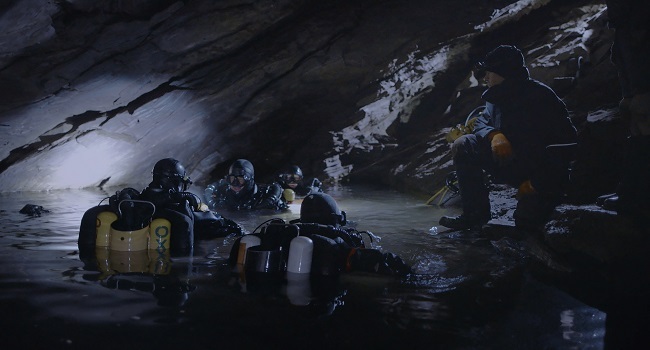 Dismayed that attempts by authorities to recover the bodies have been unsuccessful, resulting in the closure of the cave, the divers decide to organize an illegal salvage mission to find their friends themselves. Determined to bring the bodies back to the families of the deceased, the group of sixteen, some of whom are still feeling the effects of the original dive, quickly realize that this dive will be even more dangerous than their original attempt. Bringing the audience into the water through the use of GoPros and other technology, Diving into the Unknown succeeds in presenting a truly engulfing experience. Not only does the viewer get to see the true depths of the descent, but also the complications that come with it. Reina perfectly captures the physical and mental strain that the divers endured in the original dive, and the danger it poses to their current mission. Reina’s film is most chilling when exploring the mental challenges and doubts some of the divers face. Rattled to core from the first near death experience, the sobering sense of one’s own mortality cannot be ignored. This makes the dive, and overall narrative of the film, even more fascinating as the mental fortitude of each team member is arguably more important to the mission, and the team’s ability to respond to dangerous situations, rather than their physical one. Showing that the bonds of friendship remain strong even after death, Diving into the Unknown is a thrilling documentary that will have viewers on the edge of their seats. This sounds claustrophobic but too interesting to ignore. I had to remind myself halfway through your review that this was a documentary you were talking about, which really ups the stakes. 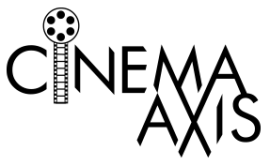 Yep, it is always a treat when a documentary manages bring that type of feeling out of you.